What constitutes 'the real Africa', 'the real Kenya' or the 'real' aspects of any country? Do we base our experience on visiting another country based on stereotypes or media representations or something else that is real we see and experience when we arrive? If we never 'see' or 'experience' what 'others have before us' then what and how do we define our travels? Tips on how to 'prepare' for the annual time change in America [and other places] that have Day light savings time. A British expat who's been living in Nairobi, Kenya (East Africa) shares some of her pros and cons of living and raising a family in another country. 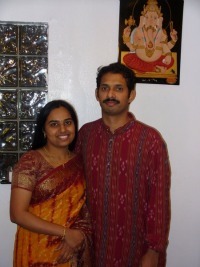 Anu came from India to small town America in 2006. Moving from Mumbai to Oregon brings a lot of changes. 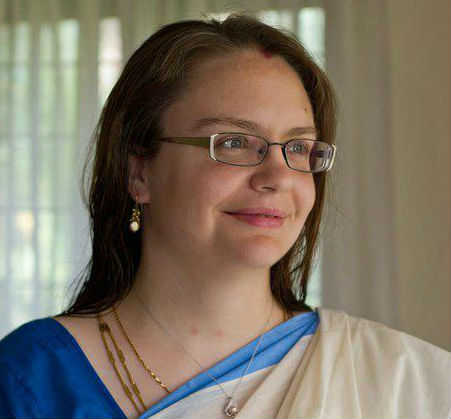 How does Anu balance her new found identity in small town America with her Indian identity? How does she stay connected to her roots and nourish herself while balancing cultural integration being married into an American family? Click in to read some of her story. Thanks for sharing Anu. An American's attempt at answering a TOEFL question. Helping someone study and prepare for the TOEFL test offers opportunties for the student to improve their English as well as offers oportunities for the tutor or teacher to also improve his or her English skills as I do in this post. Podcast and transcripts within! 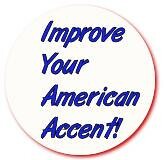 The Path To Improving Your American Accent- Don't Pass This Up! When we gain fluency in another language in it's native environment, we may come to find out the sounds we make are not heard clearly by native speakers. This forms an accent. Accents are personality traits and are wonderful, but if our accent impedes understanding and clear communication, our daily life can be impacted. Rather than shy away from talking and making new friends in a new language, here are tips to improve your American accent! Making a decision to move home after years away can be tricky whether we live a few towns away or a few continents away. What are some factors that can be weighed in the decision making process? How far ahead of time are such decisions thought of and planned out for? What are some of the adjustment factors that seriously considered? Are these decisions different based on the location of the move? Click in to read some experiences of Brijesh and Deepa in their planning to return to India after being NRIs abroad. Learning to stay connected to one's culture and identity can be a challenge when living in another country as an international student, foreigner or expat. Have you faced that? Brijesh and Deepa share some of their lessons on maintaining their identity away from their native culture and country of India while they stayed in U.S.A.
For East Asians, especially Japanese, the L and R do not have distinctively different sounds in their languages, so when Americans hear it, we get confused 'Are they saying L or R."? This can be problematic when we don't have a context for the sounds to get the right word. In today's lesson we learn a bit deeper about L and R with consonant clusters "CR" and "CL". I hope this lesson not only helps you with improving your speech but much more! Click in to see what I am talking about! What do people eat for Diwali? As Diwali nears, many eagerly await Diwali, not only to see family, friends and burst firecrackers (where it's still allowed!) but also to eat tempting treats and mouthwatering morsels. Click in to learn more about some Deepawali delights from different corners of India. Thank you to Kamala, Natasha, Ramaraobobby, Sailaja, Sanjeetha, Srivalli and Vidhya for sharing their menu memories with us! Are you interested in knowing more about living abroad or cultural diversity issues? Click in to learn about my Authentic Journeys cross-cultural Facebook Forum. Sometimes two or more sounds in the same language are not only made the same way but sound so similar that even when 'native speakers' don't talk clearly we misunderstand each other. This series will help us distinguish similar sounds by fine tuning our ears and also our pronunciation skills so we can both hear and speak correctly! Today's lesson is "How to Pronounce P and B"
In India they speak many languages, and none of them are called 'Indian.' India has 28 states (I quoted this wrong in the podcast! ), each with different languages with different scripts. These languages and regions vary so much it's like India is made up of many, diverse countries! So, I was asked, how does a country like India with many languages disseminate messages to its people so that everyone can understand? This is the question I attempt to answer in the podcast. Understanding the weather report is important in daily life in America since in many areas of the country the weather can change so drastically in any given day - from warm to cold temperatures, sun to rain to snow to ice, thunderstorms, hurricanes, earthquakes, tornadoes, blizzards, floods, and many other kinds of climate conditions. Though many Americans take it for granted that we can understand the weather report; many foreigners in this country even entering with English knowledge get stumped by the weather report because it is unscripted, spontaneous and uses a lot of idioms, sayings and local slangs. Try your hand at understanding a local weather report from Rochester, New York! In this video, I answer the self-reflection questions I posed about my own staring behavior in the previous video. It's not fair for me to ask you and not dig inside myself to find my own answers. What are your answers? You do not need to tell me, but please tell yourself. This will help us understand ourselves and our behavior better. Thanks for your interest in my videos and in learning yourself! You are great! One of the first questions Americans have when going to India is "Will I be stared at?". Click in to hear my thoughts on this topic and my answers to the question, "Do Indians Stare More than Americans?" This is a different approach, I hope, one to make you think not only about why someone else does something but why you do or don't do something. This will be addressed also by me, more in part two. Keep tuned in! American English Idiom Lesson: "I'll give them back." Idioms are groups of words that when used in conversation have particular meanings that may not be found in dicitionaries. Listen to the podcast to understand the idiom "give it back." Sometimes- well almost always when Americans talk 'fast' we drop letters and combine words, making two or three words sometimes sound like a completely different word! These podcasts will help you to understand us a bit easier! (I hope!) Click in to listen. Ayuda Puja - The Day Hindus "Pimp their rides"
The day to observe thanks to the utensils, gadgets and machinery that makes our lives a little easier is what Ayuda Puja is all about. Cars and vehicles are also worshiped on this day. Have you come to America prepared with years of English lessons and tested fluency but then get frustrated in understanding us Americans? Talking English fluently is different than listening to us talk to you! You have the skill to talk, but fine tuning your ear to the way Americans talk can help your fluency in everyday conversations. Inside is a podcast that you can listen to that has tips on improving your fluency in listening to us Americans when it seems we are just talking too fast. After some meetings with people I help, I may make a YouTube video or podcast depending on the nature of the lesson. Click in to see some of the topics I have created podcasts on for people I help. American English Listening Lessons- Can You Hear the Correct Sounds? Click in to listen to a podcast with matching word pairs. 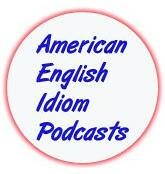 The purpose of the podcast is to help you improve everyday, conversational American English! One aspect of learning any language is words that sound the same but actually have very different meanings- one way of training your ears to hearing the difference in some of these words is by understanding words that rhyme. Rhyming words sound almost the same minus one or two sounds at the beginning of the word. Click in to hear a podcast to help you along this process. Well, of course, United Kingdom and United States are two different countries, we learned that in history class- the map tells us so, but what makes them unique? Is it possible to have culture shock when moving between these two nations? Julie and Sanjay share their thoughts on this and other cross-cultural topics.